As your eyes gradually change, so can your vision and prescription needs. That’s why regular eye exams are so important. Your eyes change over time. This happens as a result of the natural aging process and things like climate, hormones, pregnancy, medications, and the daily activities you enjoy doing. Visiting your family doctor for an annual physical is critical to managing your health. Doing the same for your eyes is just as–if not more–important for maintaining excellent vision and quality of life. If you’re thinking, “How can I schedule an eye exam near me?”, then contact our office today. We’ll set an appointment at a time that’s convenient for you. What Is a Comprehensive Eye Exam? Unlike a basic eye check-up, a comprehensive eye exam involves a thorough, detailed examination of your eyes and visual abilities. During the exam, the doctors at Schoenbart Vision Care will ask you about your medical history, family history of any diseases or health issues, medications you may be currently taking, hospital visits, and your personal lifestyle. All of these are elements that can affect your vision. The comprehensive eye exam includes a number of tests to assess your overall eye health. At Schoenbart Vision Care in Garden City, NY, we have the top-of-the-line medical equipment and cutting-edge technologies that enable us to provide you with the best quality of care that you and your family deserve. An essential part of any comprehensive eye exam is a refraction test, or as it is more commonly called, a basic vision or eye test. This gives the doctor an idea of what kind of prescription you may need. The refraction test is simple: the patient looks through a special device called a Phoropter, focusing towards an eye chart, which is usually about 20 feet away from the chair. The doctors at Schoenbart Vision Care will test different lenses to see which ones give you the clearest, sharpest vision. Your visual field is the area that you see while looking at a specific object. For example, when you look at a car, your eyes are focused on it, but you may also see things that surround the car, such as flowers on the ground or rain falling on the windshield. A visual field test examines your ability to see what is in this direct area. Certain eye conditions or neurological disorders can negatively impact your visual field, which is why this test is an essential part of a comprehensive eye exam. Similar to how binoculars allow you to use both eyes simultaneously when looking at something far away, binocular vision is the ability of your left and right eye to focus on an image or object so that your brain “translates” the image into understanding what you’re seeing. At its basic level, binocular vision means how the eyes work together as a team. Digital retinal imaging technology allows the doctor to check the health of your retina. The image is captured from a special digital camera. The camera takes a photo of the retina, which is located in the back of the eye, and stores the image electronically. This is crucial to your vision needs because the retina helps focus light that enters your eye and sends images to the brain, so that you can ultimately understand the things you see. A color evaluation tests the ability to differentiate between colors. It is usually done with Ishihara color plates, a series of round circles with colored dots inside that form a number. The patient studies the image, either on paper or on a computer screen, and determines if they can clearly see the number. This is an important test because difficulty distinguishing between red and green often is a sign of color blindness. Corneal Mapping is a process involving the measurement of the cornea. 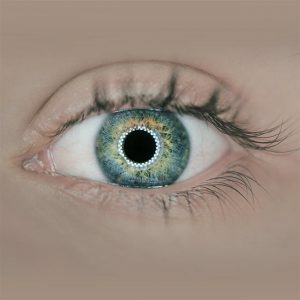 The doctors at Schoenbart Vision Care will use a computerized system and/or a keratometer to collect exact details about the size and shape of your cornea. This is done to ensure that the curvature and size is correct, which allows light to enter your eye so that you can focus on images and see clearly. Visual Acuity is the ability to see clear, sharp images from various distances. To test this skill, the doctor will instruct you to look at an eye chart in various types of bright lighting. The smallest letters or numbers that you can clearly see determines your level of visual acuity. A tonometry test, more commonly referred to as an eye pressure test, checks the amount of intraocular pressure (IOP) in your eye. Because a high level of pressure can be a sign of Glaucoma, the eye pressure test is an essential part of any comprehensive eye exam. This test involves eye drops which numb the eye, followed by a small device that the doctor uses to gently touch the eye, checking pressure levels. 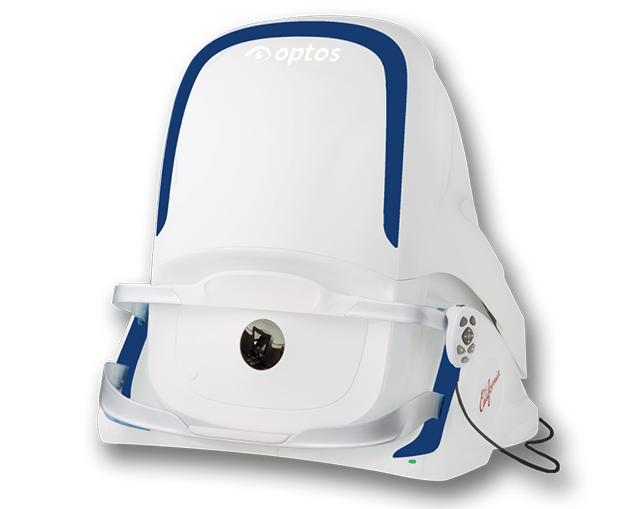 OPTOS retinal imaging is developed by Optos, a UK-based retinal imaging company. The OPTOS Retinal Exam is now available at Schoenbart Vision Care and is unique in providing a wide range image of the retina. This wide imaging has significantly more detail than traditional eye scans, which can allow the doctor to identify and diagnose retinal problems which may be affecting your vision. Peripheral Vision is the ability to see what is to the side without moving your head. While your eyes may be focused on an image or object, you can still see things around that focal point. The doctor performs this assessment by instructing you to focus on something directly in front of you, such as a pen. Then you’ll be asked what you can see to the side or slightly away from that object. This test can determine if there is any loss of peripheral vision, which can indicate a number of eye diseases, such as Glaucoma, Diabetic Retinopathy, or Retinitis Pigmentosa. A refraction exam is considered a basic part of an eye and vision evaluation. Refraction is how you see things around you. When there is an imperfection in the refraction of your eye, it causes blurry vision. The 2 main vision problems from refractive issues are nearsightedness and farsightedness. The doctor may conduct this simple test by shining a light into your eyes to check how the light bends through it, or a computerized test may also be used. Dr. Schoenbart and the doctors of Schoenbart Vision Care, in Garden City, NY are proud to introduce the latest cutting edge technology in retinal imaging, the OPTOS Optomap. How Long Does a Comprehensive Eye Exam Take? Due to the meticulous detail taken for your eye care, a comprehensive eye exam can take up to one hour. It’s a complete workup of your visual health so that the doctors at Schoenbart Vision Care can make sure your vision is at its best, helping you enjoy life to the fullest. No two patients are alike. Should the doctor discover any eye conditions that need treatment, we will create a customized treatment plan for your particular needs. 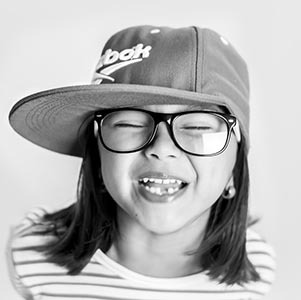 Because our young patients grow so quickly, their vision is vastly different than adults. Toddlers, school-age children, and adolescents each have their own needs at these various stages of life, so it’s crucial to have their eyes thoroughly examined on a regular basis. Education experts say that 80% of learning is visual. In fact, many issues related to learning and extracurricular activities can be eye-related. Difficulty concentrating or acting fidgety can often be misdiagnosed as ADHD when in reality, the child has developed vision problems. Symptoms can include headaches, tiredness from schoolwork or playing sports, or excessive squinting at the board. Children develop rapidly, especially in the early childhood years. This is why doctors recommend regular exams to check how their vision is advancing and to detect any potential problems. The American Optometric Association (AOA) recommends regular eye exams at age 6 months, 3 years, when a child begins school, and every 2 years after that.